Traveling by MRT is my most preferred method of getting around in Taipei. The MRT system in Taipei is very well maintained, fast, and easy to navigate around as a foreigner. Most importantly, the coverage is wonderful! It covers the majority of the top attractions in Taipei, you can get around the city with ease relying on just the MRT system alone. You can pay for single trip tokens, day passes, or simply get yourself an Easycard and enjoy your 20% discounted trip fare! Download the bilingual MRT map here. 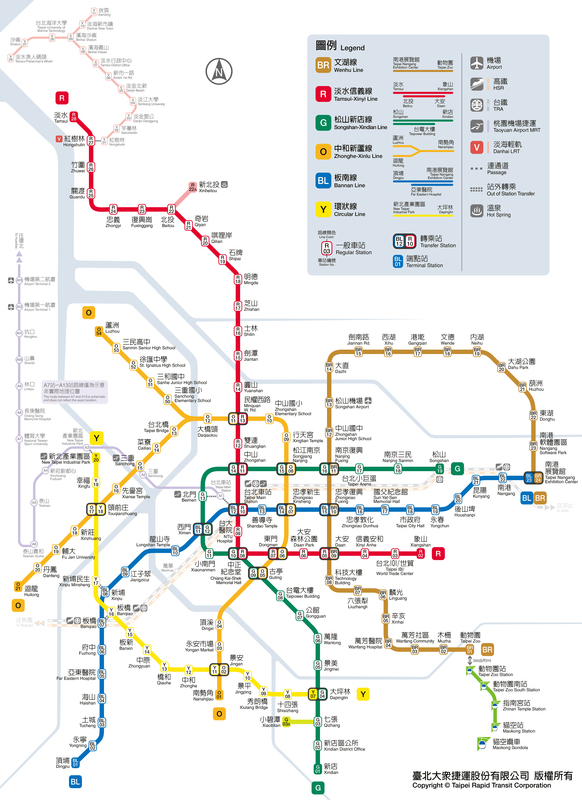 There are five MRT lines in Taipei: Wenhu Line, Tamsui-Xinyi Line, Songshan-Xindian Line, Zhonghe-Xinlu Line and the Bannan Line. This line connects Taipei Zoo – Taipei Nangang Exhibition Center. This line connects Xiangshan – Tamsui. This line connects Songshan – Xindian. This line connects Nanshijiao – Huilong (A) or Nanshijiao – Luzhou. This line connects Nangang – Dingpu.